This is a model of a tank car painted and lettered for the car leasing company DNAX Railcare. It is prototypically painted and lettered for Era V. It has many separately applied details, and the tank can be filled and emptied. The car has metal wheel sets. Length over the buffers 51 cm / 20-1/16". 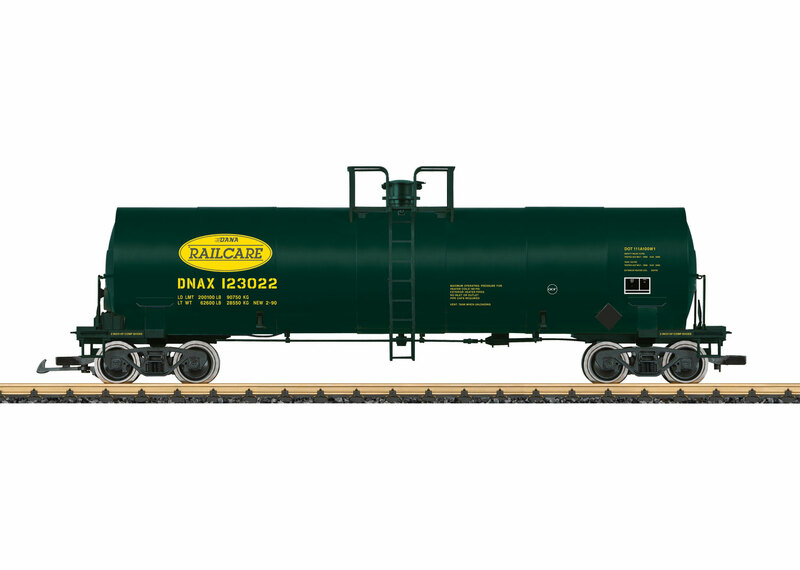 Another DNAX tank car with a different car number is available under item number 40872.